Happy Friday!!! I’m here to sweeten your Friday because we’re sooo very close to the weekend and free time and to doing absolutely nothing (in my case at least!)! As I promised in my first “edition” of Olympic Yeikes or Likes, which basically is just a series of posts so we can perve at the beautiful men that compete in the London 2012 Olympics and to cheer us up ahead of the oh-so-close weekend, here’s the 2nd edition of Olympics Yeikes or Likes (fret not, there will be more, to get us through the break between the Olympics and Paralympics!). 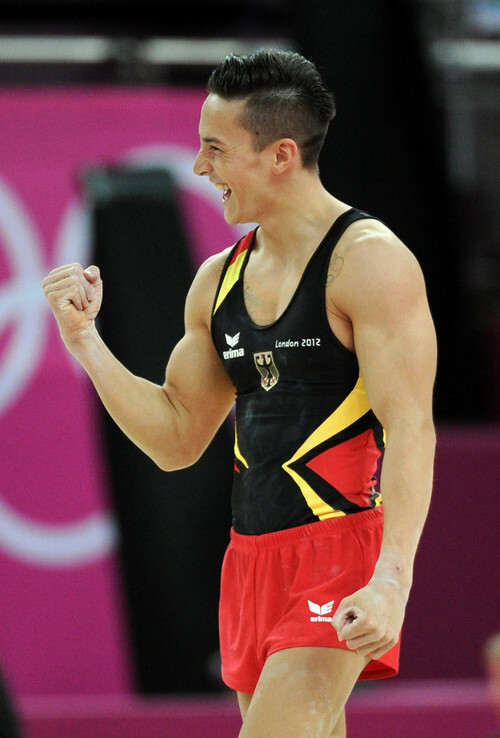 The first one featured Tom Daley and Chris Mears – you guys chose Tom over Chris, today features the Olympic Champion on the High Bar Epke Zonderland from the Netherlands, who reminds me massively of Ryan Gosling, and the Silver Medallist on Parallel Bars Marcel Nguyen from Germany. ENJOY!!! So ladies, does Marcel get the YEIKES and Epke gets the LIKES or the other way around? Or do neither get your juices going? Or are they both so equally beautiful that you’re now all confused and you don’t know what you were meant to be doing when you started looking at these beaus? LET ME KNOWWWW!!! I prefer Marcel, as I prefer guys with dark hair. But I have to say, Epke has these sparkles in his eyes and he seems like a sweet guy!